Do you want your dress to bounce and sway with every move you make on the dance floor? Fluff out your sense of style at any square dance, or other special occasion with adult and children's petticoats from our company in Paragould, Arkansas. Eva's Petticoats is a full-service manufacturer of retail and wholesale square dance petticoats and other petticoats that specializes in making dresses stand out. Contact us today to place your first order for a magnificent petticoat made from a wide variety of high-quality fabrics. 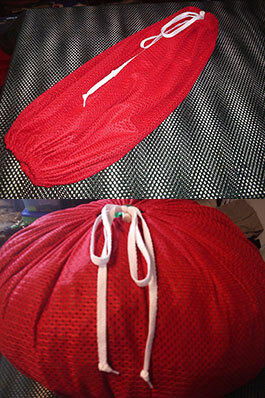 "Don't Get caught without your Petticoat"
Match your favorite petticoat with a petticoat bag from our experts. Providing ease of storage, our petticoat bags are capable of holding a 120-yard petticoat, effectively keeping it from getting crushed. The price for them is $7.00 each. 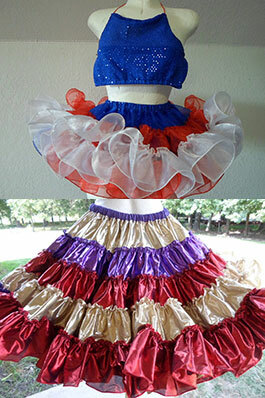 E-mail us or call us today for petticoats you can wear to any occasion.